Ridgewood Clinics offers a personalized treatment approach tailored to our patient’s individual needs with the goal of attaining maximum personal growth and functioning. Evaluating and monitoring a patient’s mental/emotional state is performed by a psychiatric physician during the initial visit and continued throughout treatment at Ridgewood Clinics. This evaluation and monitoring process assists in providing a good understanding of the origins of the patient’s illness as well as arriving at a more definitive diagnosis. The main goal of the monitoring/management is to assess response of the symptoms to the therapies, particularly medications and to aid in adjusting and fine tuning the therapies. A key component of the medication management is the assessment of patient’s safety in terms of dangerous thoughts to self or others, and in terms of side effects or adverse response to medications. The monitoring may involve laboratory tests to assess medication levels in blood and the effect of medications on body systems. It may also involve screening for abusable substances in urine or blood. The final goal of the psychiatric medical monitoring/management is to provide relief to disturbing symptoms, assure safety, bring about stability, and assist with return to work or school. The patient meets one-on-one with a therapist individually for up to 30-45 minute sessions to address various psychological issues and coping styles. These working relationships may last for only a few sessions or may continue much longer depending on the needs of the patient. Although talking to a therapist for the first time may be awkward, the therapists at Ridgewood Clinics utilize evidenced-based treatments to effectively help patients deal with a variety of issues and improve their quality of life. 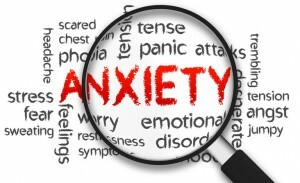 Some of the most common issues include: general anxiety and stress, difficult childhood and family experiences, as well as relationship conflicts, depression, eating disorders, body image and self-esteem issues. The goal is to become insightful about ones’ own behaviors and coping styles and adopt healthier behaviors and styles. Family therapy is designed to help family members improve communications and resolve conflicts in an effort to deepen family connections, improve family dynamics, and cope with stressful events. The therapist may work with all family members or just those able or willing to participate. Issues explored in family therapy may include marital/family problems, conflict between parents and children, or the impact of substance abuse or a mental illness on the entire family. Family therapy may be useful in helping members learn to cope with stress, grief, anger, and conflict. The goal is to help family members understand one another better and improve familial bonds. This therapy is designed to modify the interaction of husband and wife or two persons in a serious relationship who are in conflict with each other over issues such as social, emotional, sexual, and financial stress. In this particular therapeutic approach, the relationship is the main focus, although each partner should expect some emphasis on self-improvement and self-awareness. The therapist establishes a therapeutic contract with a patient-couple and through changes in communication patterns attempts to alter maladaptive patterns of behavior and encourage personality growth and development. Goals are usually established by the couple with the guidance of the therapist, and to reach these objectives, each partner must be willing to acknowledge and understand his or her role in the relationship for resolution and growth. Ridgewood Clinics offers outpatient services to help reduce the negative symptoms of alcohol and opiate withdrawal in efforts assist patients during the recovery process. When outpatient services in not sufficient for optimal care, our clinic also offers inpatient services in conjunction with local area hospitals. Available upon request, hypnotherapy can be utilized to assist in the treatment of trauma and abuse and help some people change certain behaviors such as smoking, eating disorders, self-esteem issues, and perception in regarding to physical and emotional pain. The process can include exploring thoughts, feelings, and memories buried from the conscious mind as well as past life regression. Ridgewood Clinics does not treat adult patients diagnosed with dementia or severe addictions on an outpatient basis. 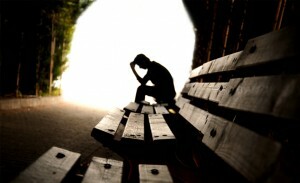 Additionally, patients who are diagnosed with schizophrenia, or who are severely psychotic, or actively suicidal, homicidal, or physically combative are not suitable for outpatient treatment and may be referred to a more appropriate level of care, including hospitalization for stabilization of symptoms. Ridgewood Clinics does not treat adolescents who arediagnosed with profound developmental disorders or are intellectually disabled/challenged. Additionally, adolescentpatients diagnosed with schizophrenia,and or/with severe psychosis, are actively suicidal and physically combative are not be suitable for outpatient treatment and may be referred to a more appropriated level of care, including hospitalization for stabilizing of symptoms. Ridgewood Clinics does not treat children diagnosed with profound development disorders or are intellectually disabled/challenged. Additionally, children who experience severe psychosis, are actively suicidal and/or severely combative patients are not suitable for outpatient treatment and may be referred for a more appropriate level of care, including hospitalization for stabilizing of sypmtoms.